Full disclosure – I’m not a big TV show person. I mostly just watch reruns of The Office and religiously watch Rupaul’s Drag Race. BUT – I am aware that horror TV is breaking through the mainstream and creating the best content. Perhaps I’ll actually watch a few of these. Don’t hold me accountable though. You know how I am. This will be a 10 episode spin-off starting on FX in the Spring. The synopsis is “Three vampires who have been roommates for centuries struggle with the challenges of modern life, including paying the rent, going to nightclubs and doing household chores.” This is of course based on the movie released in 2014 that is one of the funniest movies I’ve ever seen. I’m constantly quoting it. The series has the original creators Taika Waititi and Jermaine Clement on board as executive producers. It will start Kayvan Novak as Nandor, the head of the vampire house. 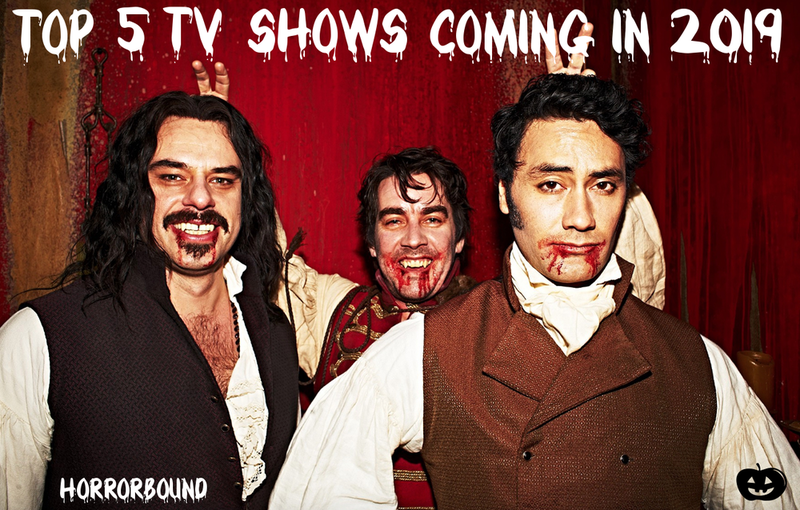 Matt Berry as Laszlo who’s a total goofball, Natasia Demetriou as Nadja, a badass female vampire. And Harvey Guillen will play Guillermo who is Nandor’s assistant. There’s been a few teaser trailers so far that all look incredible. I have really high expectations for this show and cannot wait for it to start! Now leave me to do my dark bidding on the internet. Of course, how can we not include the new season of Stranger Things?! It will air July 4th on Netflix. And while they haven’t released ANY info about the plot, we do know it will take place across one summer in 1985. Ross Duffer has promised that this new season will have a sense of fun and joy with a new mall coming to town. Lots of going to see movies and hanging out at the mall, and the pool is open! It will be 8 episodes. Everyone in the cast will be returning and we know we have a new character, Robin (Maya Hawke). There will also be Larry Kline who is the mayor of Hawkins, he’ll be played by Cary Elwes. We also have Bruce played by Jake Busey. Based on the incredible novel by Joe Hill, N0S4A2 will be hitting AMC in the summer. The series was created by Jami O’Brien and stars Ashleigh Cummings, Zachary Quinto, Olafur Darri Olafsson, Virginia Kull and Ebon Moss-Bachrach. The story revolves around Vic who is a children’s author that realizes when she’s a kid that she can always find lost things by using a special bridge in her mind. She hears about the child killer Charlie Manx who abducts children and takes them to his Christmasland. It’s a twisted world where it’s always Christmas and you’re forced to be happy ALL THE TIME. Vic has a terrifying run in with Manx when she’s younger but manages to survive. When Vic is an adult she has a child who gets abducted by Manx and Vic must fight for her and her child’s life. Quinto will play Charlie Manx as shown in the photo above. I adore Quinto and I’m excited to see what he brings to the character. This will be on HBO but we have no idea when. It’s based on a novel of the same name written by Matt Ruffthat. It will be produced by Monkeypaw Productions, Warner Bros, and Bad Robot. Executive producers will be Jordan Peele, Misha Green, J. J. Abrams and Ben Stephenson. With all those incredible names attached, it’ll be interesting to see how it actually ends up. It’s a risky move with that many creative brains attached. I have high hopes though! Atticus Black joins his friend Leitia and his Uncle George as they road trip across Jim Crow America in the 50’s. He’s looking for his missing father. The group encounter monsters and racist terrors as they struggle to survive. Atticus Black will be played by Jonathan Majors and Leti will be played by Jurnee Smollett-Bell. This is another Joe Hill adaptation (because he’s my favorite OKAY) and this is going to Netflix. This is based on his comic book series of the same name. It follows three siblings who move to their ancestral home in Massachusetts after the death of their father. In the house they find magical keys that give them magical powers and abilities. But a demon also wants those keys and will stop at nothing to get them. This isn’t the first time Locke and Key has been attempted to be adapted. But if Netflix is involved, I feel like the chances are good we’ll see this at some point this year. The first season will be 10 episodes. Not much news yet on casting as it keeps getting changed. So, it’s best to just be patient with this and cross our fingers that it all turns out by the end of 2019. Shudder has two programs joining their streaming service that I’m really excited about. The first being Creepshow. This will be based on the 1982 anthology by George Romero and Stephen King. Greg Nicotero will be at the helm. 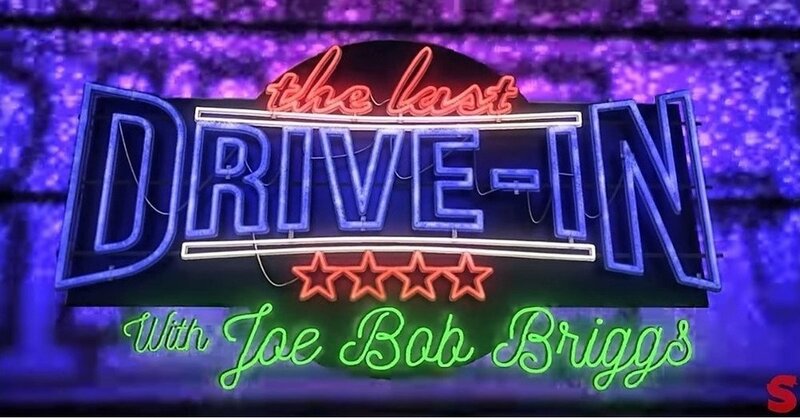 Second is The Last Drive-In with Joe Bob Briggs. Shudder had a few great events with him in 2018 but this year he’ll get his official show. Not sure exactly what the programming will be like, but I’m really excited. Let us know what TV shows you’re looking forward to in 2019 by leaving a comment below!